Dr. Timothy Schwab is a Montgomery County native. He earned his veterinary degree from the University of Pennsylvania in 2007. He then completed a one-year rotating internship in medicine and surgery at Florida Veterinary Specialists in Tampa, Florida. Dr. Schwab graduated from a 3 year residency in surgery at MVA in 2011. Following this training, he stayed on as a staff surgeon continuing to offer excellent surgical skill and knowledge to his patients. Dr. Schwab’s professional interests include advanced orthopedic procedures, neurosurgery, and all aspect of soft-tissue surgery. He takes particular interest in Tibial Plateau Leveling Osteotomies (TPLO) for the treatment of cranial cruciate ligament injury in dogs, neurosurgery for treatment of spinal disorders, as well as oncologic and reconstructive surgeries. 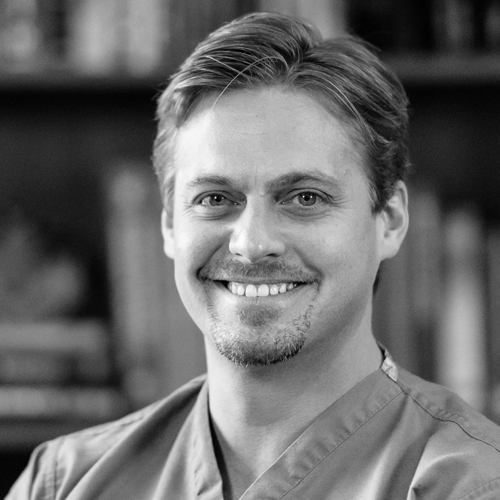 In his free time, Dr. Schwab enjoys spending time with his wife, 3 children, and his pack of animals.